Searching for Allison MH marine gear parts for your current engine repair or maintenance projects has never been faster or easier than it is through Diesel Pro Power. Whether you are a professional mechanic, a private owner or a commercial operator, you may understand how important it is to find quality parts for your projects. You also need to find the specific parts that are right for your model of engine, and you may be focused on finding these parts at the best price possible. When you want the best overall shopping experience, you can always put Diesel Pro Power to work for you. Through Diesel Pro Power, you can find an exhaustive selection of Allison marine replacement parts for simple repair projects as well as for complete engine overhaul projects. 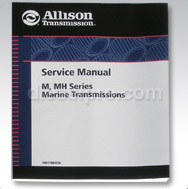 When you are shopping for Allison MH marine gear, you can expect to find seals, oil coolers and many other parts in stock and ready to ship to you. 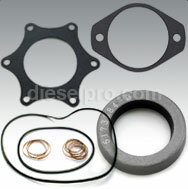 We are the world's largest online provider of replacement parts, and we can ship your order within 24 hours. 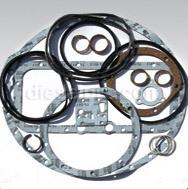 If you cannot find the parts you need on our website, simply call our office, and we will do our best to help you out. You could drive from store to store in your hometown, but you can save time and energy when you shop through Diesel Pro Power. Before you can complete your next engine maintenance or repair project, you need to get your hands on the parts you need. 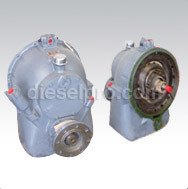 When you shop with Diesel Pro Power, you can finalize your order for the parts needed for your next project right away, and this means that you can continue on with the plans you have for the day. Soon, the parts you ordered will arrive at your location so that you can complete your engine project.